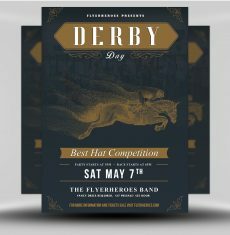 Let’s party for the Kentucky Derby! 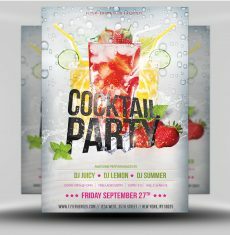 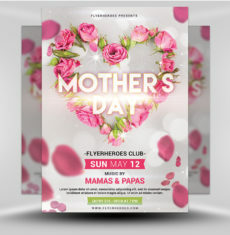 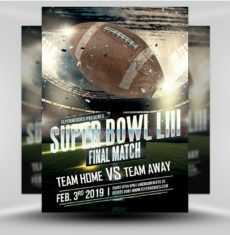 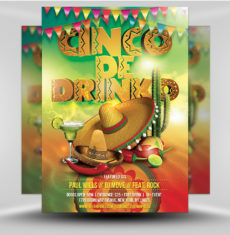 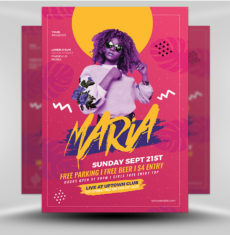 Promote your special event with this beautiful flyer. 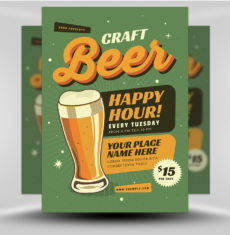 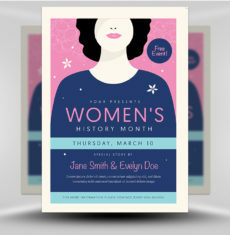 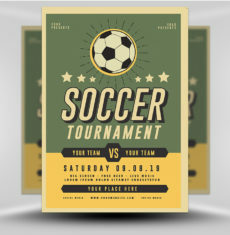 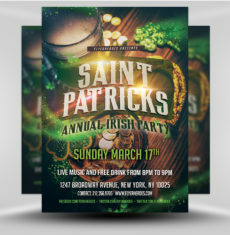 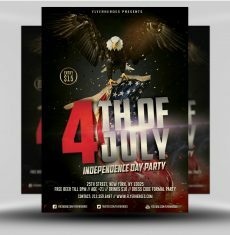 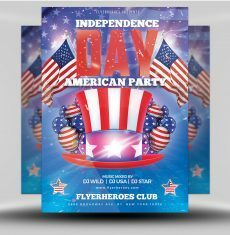 This modern, elegant flyer features a unique and realistic design. 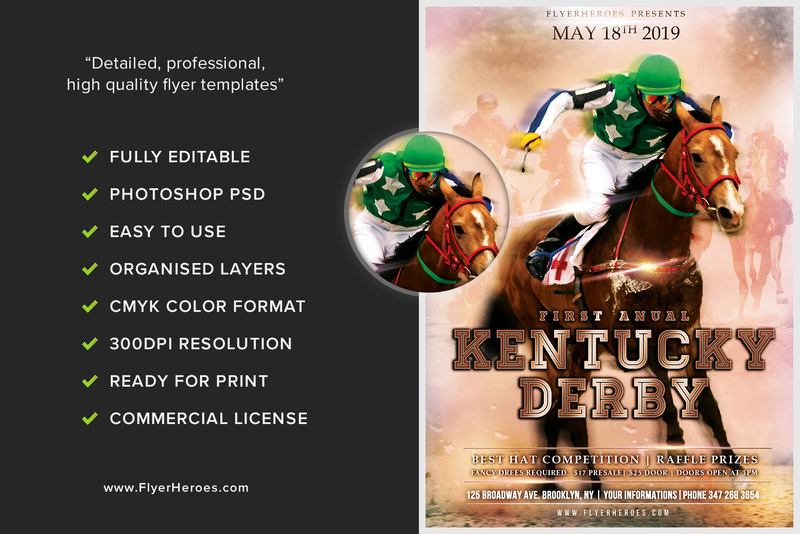 A jockey riding his racing horse captures your eye, while a faded image of horses at the Kentucky Derby fill the background as if you’re on the track yourself. 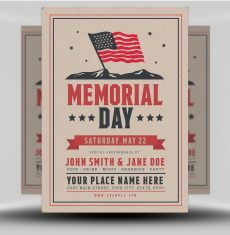 The text uses multiple fonts, colors, and styles to display your event’s information. 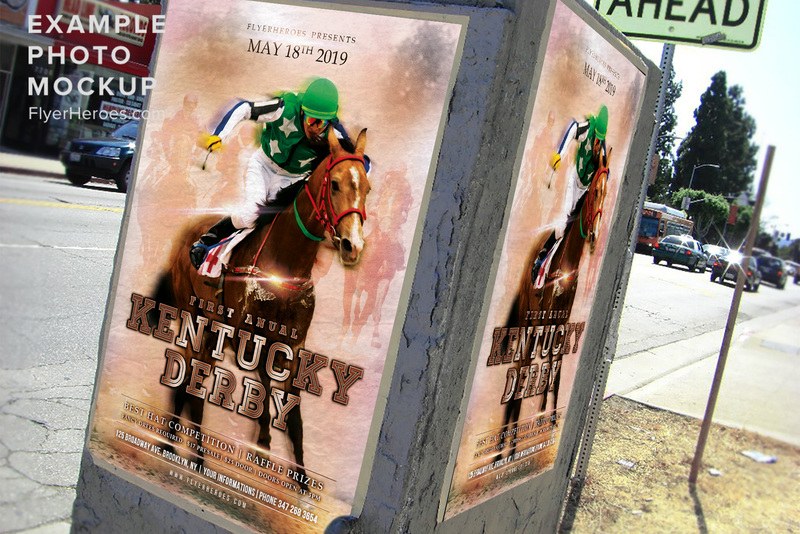 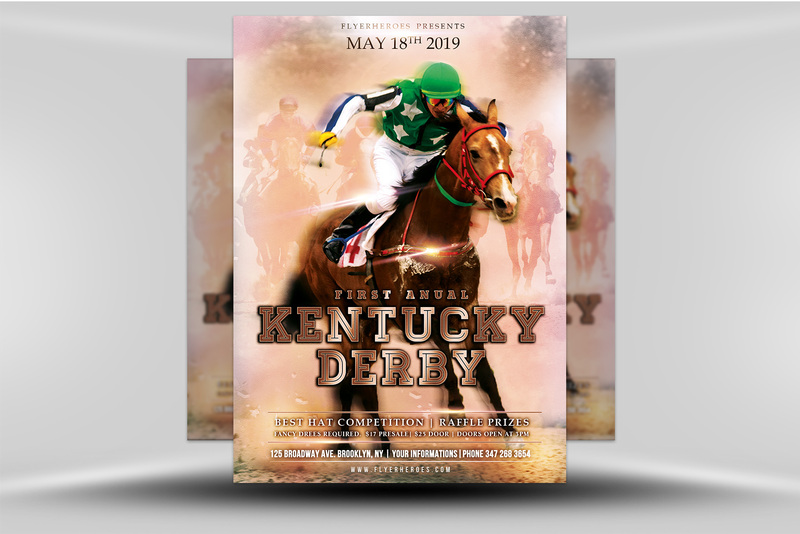 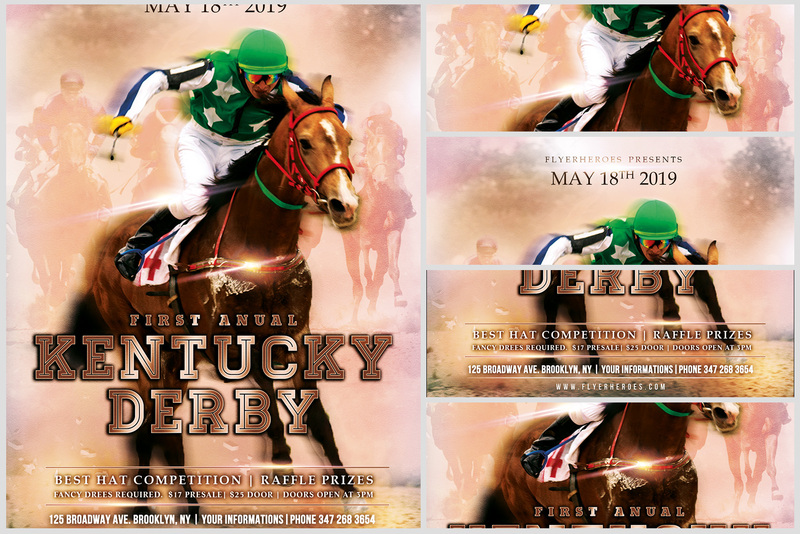 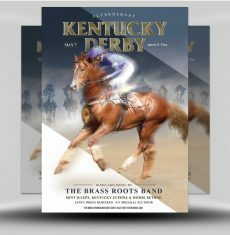 Use this flyer to promote a special event, competition, or get-together at your venue for the Kentucky Derby!